Lucita M. Subia, Luchie to most and as a matter of preference, started her venture in the corporate world sometime in 1999, right after graduation from law school, when she co-founded S-A Technologies, Inc. S-A Technologies is a private corporation trading and servicing industrial x-ray, ultrasound and microscope machines for the semiconductor manufacturer, which are thriving in the Philippines. With college degrees in Political Science and Law, S-A Technologies which was in the semiconductor business, was altogether alien to her, the only possible relevance of her degrees in the venture was probably how she can then conduct herself politically correct at least most of the time, before their clients. Nonetheless, having been pushed into it by circumstances and a business opportunity knocking, she immersed herself in crash studies of the semiconductor business. Browsing into a very slow internet service then and interviewing people of the industry, she learned and assimilated herself into the semiconductor corporate world. In due time she was already dealing with technical-savvy end-users on the technical specifications of her machines, while interacting with the middle and upper management groups for the financial aspects of the trade. Soon S-A Technologies became one of the major suppliers and service providers in the semiconductor industry of test equipment which are indispensable in ensuring quality and reliability at all times. In the middle of 2001 and after steering her first company to modest success, she sold her share in SA Technologies to her co-founders in order to focus her attention to healthcare industry and to jumpstart her second venture, the Maystar Company. She envisioned to establish Maystar Company as the company of choice when it comes to preference of suppliers of high-end and technology-driven medical equipment. Never did she realize that the healthcare industry was more competitive and demanding than the semiconductor industry. While before she has to deal with younger people most of the time, in the medical industry, she has to deal and please people much older than her and invariably consider themselves of a higher level than other professionals. The newly found challenges and apparent roadblocks, not to mention the gargantuan task of going back to trainings and seminars on various medical equipment, somehow did not deter her and instead converted such challenges and apparent roadblocks as motivations to get her new company into the mainstream of the medical industry. Starting only with a few unknown brands of medical x-ray and OR equipment, sourced from either India or China and two technical people and a sales staff, she personally went from one hospital to another, towing with her technical staff as back up for possible technical questions that may have escaped her recollection, albeit the technique was more to show her prospective clients that she has a solid engineering team, ready and able to back up her equipment. The start-up was not easy to say the least, coming at a time when only western manufactured products were known and acceptable then in the Philippines, not a few doors were shut upon mention that you have things from India or China, unless you were peddling silk or dining wares. For almost half a year, no one bothered to take a look at her products, not even her closest medical acquaintances and the business operation was slowly eating on her little savings and proceeds of the sale of her shares in S-A Technologies. She must find a solution and she must do it real quick or lose her shirt. After several sleepless nights, analyzing how to overcome the persistent negative perception of her products, she realized that if only she can prove that her products are as reliable as the others, then maybe, just maybe, she will start to earn their trust in her products. But to prove quality and reliability means she has to take the first risk by paying for the products herself and the only way to prove quality and reliability is to have them used by the hospitals at her own expense and risk. The strategy did not come cheap and quick, but she had to take the risk if only to save her fledgling company. She started, with some relatively unknown hospitals with the arrangement that they can use the products without initial cost and pay if proven reliable and useable. The prospect of having equipment without initial acquisition cost was surprisingly a bit acceptable in the market. As luck would have it, none of the equipment supplied in pay-when-approved basis, experienced any serious troubles other than the usual re-familiarization by the end-users of the new technology. Nevertheless, the hospitals were not contented with the payment arrangement only, they further asked for extended warranties on parts and labor. To this May star company readily agreed to having been relieved of anxiety as to quality and reliability of its products. The strategy worked and was kept for a little more time, to the consternation of the other suppliers. Slowly, Maystar Company was gaining a foothold in the provincial areas where technical services came far in between and Maystar Company took advantage of the service vacuum and promoted more aggressively using as reference the first hospitals who put their trust in its products. Before she knew it, through enhanced and responsive technical group, Maystar was soon recognized in the medical industry as one of the most reliable suppliers of medical equipment. With revenues starting to come in, she focused more on the development of her service team as the platform of her company, hiring more engineers and sent them to factories abroad for technical trainings. With the much improved and factory-trained service engineering group, Maystar became synonymous with competent and affordable service. The service then well in place, Luchie slowly but surely developed a well-versed sales team and the sales revenues rapidly grew. Not a few banking institutions, likewise started to request for meetings with Maystar to promote their banking and financial portfolios and for the first time Maystar came to feel how it is to be a client for a change. 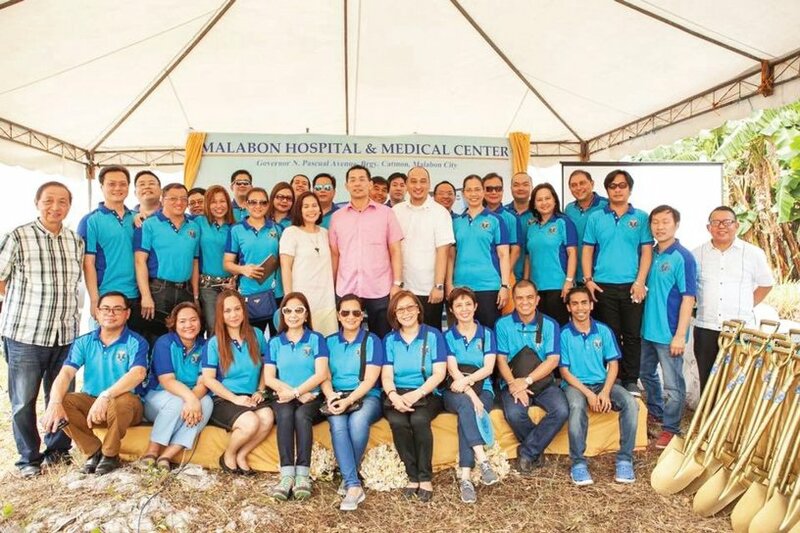 Shortly thereafter, Luchie was able to create for Maystar an image of a customer-focused company among the doctors and hospitals in the Philippines; that Maystar became more known as an industrial partner rather than a seller. Networking has likewise helped her in no small measure in reaching out to hard- to-connect prospects, her growing network of friends and references created bridges to meet and shake the hands of decision makers and get her message of “reliable but cost effective medical equipment”, across. 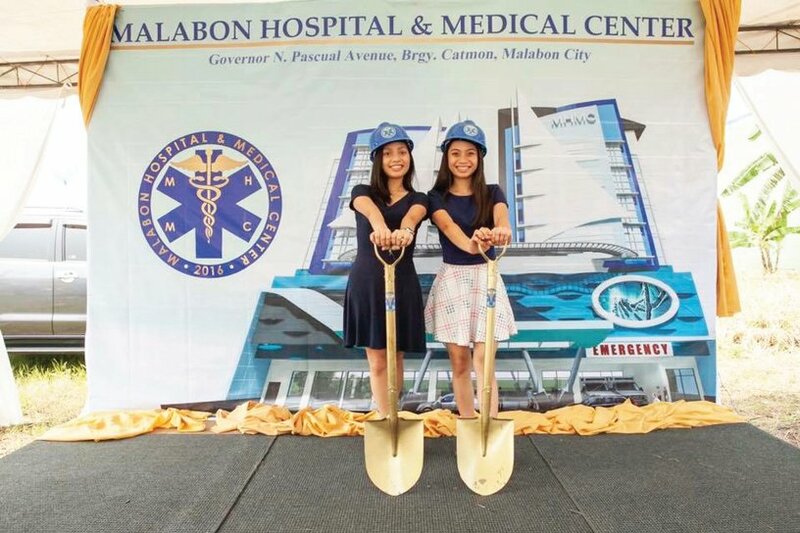 To date, the company she co-founded back in 2001, became one of the major players in the medical industry, supplying the entire Philippines with various high-end medical equipment including Magnetic Resonance Imaging, CAT scanner, Cathlab and high-end Ultrasound among others. Maystar is now one of the pillars in the medical equipment industry, participating in almost all major exhibitions and conventions of doctors and hospitals in the Philippines and in the process contributes in its own little way, in the development and enhancement of the health care for the Filipino people and to everyone else sojourning in the Philippines. The success of Maystar Company though, did not make her take a well-deserved rest, instead she decided to venture in the pharmaceuticals to compliment her equipment business, and established the Paramount-Star Pharma & Trading Corporation in 2011, to cater to the pharmaceutical demand in the southern part of Luzon, the main island of the Philippine. As a new player in the pharmaceutical business a dejavu of Maystar was inevitable, but having mastered the art of survival, it was not as difficult and risky as it was with Maystar. In less than two years her pharmaceutical company started making profits and became self-supporting. In mid-2017, after acclimatizing herself with the basic corporate development and survival, she is now nursing to financial stability and maturity her latest company Megaion Corporation, that will trade on various hospital consumable and disposable products. Her new venture carries with it a different twist though, as it is more designed as a training ground for her children whom she made part of the corporation as incorporators. She envisions to impart her experiences to her children to start the process of “passing the torch” so to speak and gradually transfer the corporate helm to them. Be that as it may, and as a natural process of diversification, Luchie has now co-founded at least five mid to high end hospitals and sits on the Board of each, unselfishly and unknowingly sharing with them her dreams, passion, visions and aspirations. Most of these hospitals now are in their infancy or under construction and are hoping to soon follow the story of Maystar Company.